An official action in Izhevsk this week has some dangerous implications not only for the more than 2.3 million members of Finno-Ugric peoples now living within the borders of the Russian Federation but also and more ominously for the cultural life of all non-Russians in that country. 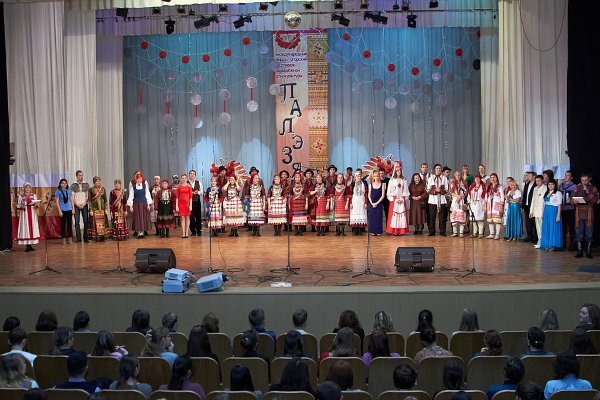 At the closure of the highly successful sixth Finno-Ugric Ethno-Cultural Festival in the Udmurt capital, officials from the republic’s nationalities ministry said that there might not be another one in the future, although they were unable to explain why that in fact might be the case beyond suggesting there were problems with “the format”. If Moscow succeeds in shutting down such enterprises under the cover of budgetary problems and via the intimidation of regional and republic elites, many non-Russians will see their cultural life impoverished and imperiled, none more so that the smaller nations like the Finno-Ugrics and the numerically small peoples of the North who have survived by cooperation. This is not the first such move against the Finno-Ugric nations living within the borders of the Russian Federation. In May, the authorities suddenly cancelled the showing of films by Estonian, Finnish and Hungarian directors, and subsequently, they blocked Finno-Ugric participation in an international conference. The Finno-Ugric peoples have two major advantages as they seek to defend their rights as nations. On the one hand, they can look to three Finno-Ugric nations which now have their own independent states, Estonia, Finland and Hungary, all of which have shown an intense interest in what Moscow does to their co-ethnics inside Russia. And on the other, the tradition of cooperation among the Finno-Ugric peoples inside the Russian Federation has led them to work together in ways that in many cases pass under Moscow’s radar screen. One of those was recently reported by the Nazaccent portal. Finno-Ugric journalists in Russia, facing serious problems of keeping their publications going, have organized an electronic catalogue of these journals as an alternative to one distributed by post. It will ultimately include links to the more than 60 journals now issued in Finno-Ugric languages in the Russian Federation. And more creatively still, the Finno-Ugric journalists have agreed that when they visit each other’s home areas, they will stay with fellow Finno-Ugric journalists from the local community, thus simultaneously saving money and increasing the awareness of these numerically small peoples of their common origins and common fate.